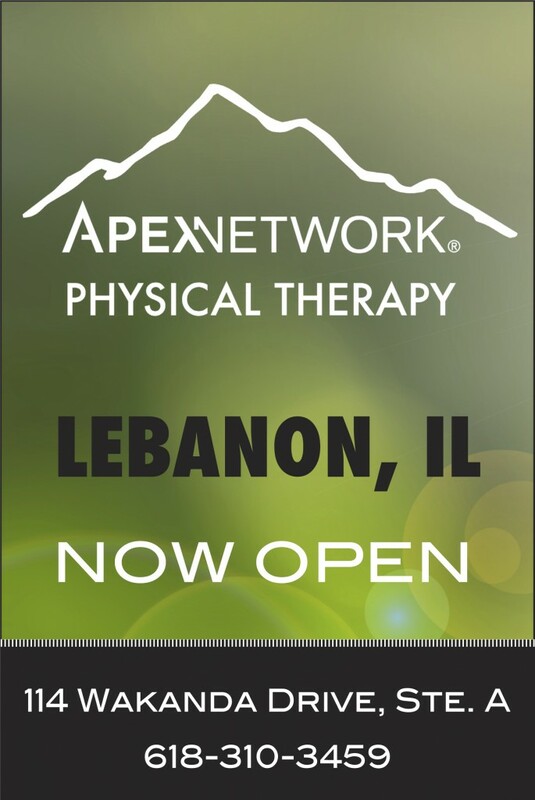 ApexNetwork Physical Therapy is excited to announce we are now open in Lebanon, IL! We look forward to being a part of this historical community. The Lebanon clinic is a full service therapy provider and will offer physical therapy, sports rehab, hand therapy, industrial rehab and instrument-assisted soft-tissue mobilization. If you are a patient, employer, physician, case manager or insurance company, ApexNetwork invites you to stop by for a visit. For more information or to schedule an appointment in Lebanon, please call 618-310-3459 or visit www.apexnetworkpt.com.